Taylor is an American photojournalist working in Eastern Europe, the Caucuses, and Central Asia. Most of his editorial assignments cover breaking news and features, while his self-driven work concentrates on intimate, quirky, and overlooked stories. He has worked for clients including National Geographic, The Wall Street Journal, BBC, CNN, Al Jazeera, GEO, Nature, and others. He is a regular assignment photographer for Getty Images and Bloomberg and his archives are represented by Redux Pictures. Taylor has a degree in photojournalism from the Newhouse School at Syracuse University. After working at the C.S. Monitor in Boston, he was awarded a Fulbright Scholarship to photograph the Loba people of Upper Mustang, Nepal. 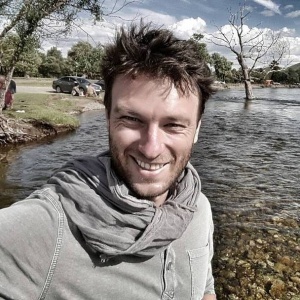 Taylor has produced long-term projects in Mongolia and the Brazilian Amazon and is currently based in Tbilisi, Georgia.